It was a beautiful spring day and I just rolled around Seattle. 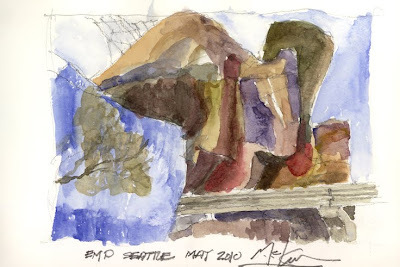 Ended up at the Seattle Center and decided to take a chance on sketching this undulating form. It was a good challenge.